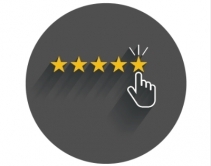 By Andrew Nichols · October 26, 2018 • The 2018 MRI Expo focused on educating integrators on the advancements made by 8K and 5G in recent months, and what they can expect as the tech grows in popularity. By Jason Knott · June 27, 2018 • CE Pro 100 integrator Just One Touch / Video & Audio Center earns 45% of total revenues from custom installation by incorporating home automation into every part of the retailer's new high-end L.A. mall location. 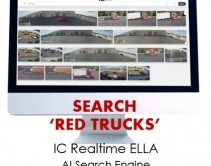 By Julie Jacobson · January 2, 2018 • Based on Camio visual AI engine built by former Google Search execs, new Ella from IC Realtime quickly identifies objects and text (OCR) in surveillance videos at consumer-friendly prices. 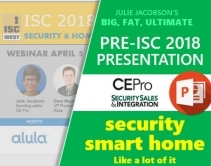 By Jason Knott · August 22, 2017 • IC Realtime to showcase 4K camera, 360-degree IP camera with auto-tracking 36X PTZ, plus ICMyCloud cameras streaming to Amazon Echo Show. By Robert Archer · June 22, 2017 • Amazon's smart home 'device with a screen' gains IC Realtime compatibility through ICMyCloud, along with other smart home security/surveillance camera feeds like August Home and Netgear. By Jason Knott · April 20, 2017 • Security Grade Protective Services in Denver earns between $10K and $300K per installation and up to $35 per camera per month storage fees securing cannabis dispensaries and cultivation facilities, not to mention additional guard services. By Robert Archer · February 28, 2017 • ALLie 360-degree Wi-Fi security camera supports 4K Ultra HD, content sharing on Facebook and YouTube, and virtual reality. It also has voice control capabilities under development. 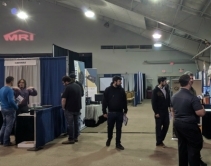 By Jason Knott · November 1, 2016 • MRI Premium Distribution Services gathered 400 integrators for its 15th annual Expo, which had training sessions on the exhibit floor.